Poverty Stricken Detroit Raises Money For A Robocop Statue? The citizens of Detroit, Michigan have raised over $50,000 to erect a statue of Robocop in the city, according to a story on Detroit News’ website. It only took the residents six days to gather the necessary donations after an Oakland, California advertising entrepreneur named Pete Hottelet push them over the goal by donating $25,000! Shortly afterward, however, a campaign was launched to raise funds for the statue. It has since generated national media attention and substantial debate within Detroit between those who believe a statue is fun and could be a tourist attraction and those who believe it is silly idea at best and condescending reminder of the city’s crime problems at worst. I really do think that both views are taking the significance of this statue too far! I’m pretty sure that Detroit has enough to remind visitors of the city’s crime problems. On the other hand, I doubt that people will flock to Detroit to see a statue of a character from a bad movie! Should The Robocop Statue Be A Priority In Detroit? Many people already know just how hard hit the city has been in recent years. Major manufacturing plants located in and around the city have closed (including many of the automotive giants), leading to a mass exodus of both jobs and skilled workers! This has lead to massive foreclosures (some houses were even selling for $100), severe unemployment (it was estimated to be between 12.7 and 13.8 percent during the last quarter of 2010), and more crime then even Robocop could handle! Considering all of this, should building a statue dedicated to a movie character be this important to the residents of Detroit? Some would say that all of the efforts of the citizens should be concentrated on trying to fix their economy, or at least provide temporary relief to those who are struggling the most. Think about how many meals for the homeless could have been purchased with that $50,000. Remember, it only took 6 days for them to reach their goal. Just imagine what a more long-term campaign could do given this much publicity and effort (or if they stuck to a simple budget and vowed to improve their finances)! Do you think the citizens of Detroit should focus their time, energy, and money on more important matters? How do you feel about a city with so much poverty and unemployment being able to come up with that much money that fast? Do you think this statue will help to bring a little joy and excitement to a city that is struggling? 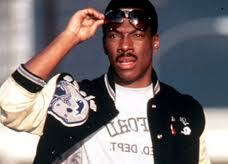 Couldn’t they have found a cool character like Axel Foley, instead? Brett Favre May Lose $100 Million! Does Anybody Else See Something Wrong With This Picture? I absolutely HATE celebrity gossip! That’s why I try hard to avoid any “news” article that is just updating me on someone’s relationship, or party habits. Even when it’s a sports mega-star like Brett Favre. However, I came across this article on Yahoo Sports yesterday, and it immediately caught my attention. Apparently, Favre is being accused of sexually harassing a woman in 2008 when he played for the Jets. Favre could possibly be suspended by the NFL for this, and that would severely damage his image. If that happens, his chances to make money in “retirement” from endorsements, working as a TV analyst, and speaking engagements will be greatly hindered! The author of the article (Patrick Rishe of Forbes.com) goes on to estimate that Favre can make at least $10 million each year over the next 10 years – or $100 million! So, my amazement isn’t over the charges – I honestly don’t know any of the details of this case (nor do I want to) – but I’m amazed that a guy who retires from playing a game can still earn $10 million a year for doing next to nothing! Don’t get me wrong, I’m not one of these guys who doesn’t think that people should take advantage of these types of opportunities! If someone thinks he is worth $10 million because he used to be able to throw a football around, then he should take it! But, where are we at as a nation when that is the thing we place the most value on? Entertainment seems to be the thing that drives this country. Commercials have gone from giving you information about a product, to mini sitcoms that get you to buy with comedy instead of facts! We’ve gotten to the point where people can be “famous for being famous”, and paid tens of thousands of dollars just to show up at an event! What’s really bad is that we have people who are struggling to get out of debt, now paying the salary of these entertainers! The most respected and influential people in this nation are entertainers, and that’s who we tell our children to look up to as role models! Obviously, this couldn’t happen unless our dollars chased these things! If the various sports leagues, record companies, movie studios, and cable companies didn’t earn billions of dollars from the public (and advertisers), then this wouldn’t be possible. Also, the fact that we buy everything in sight because of a funny commercial, and a general lack of self-control, allows companies to pay billions in advertising to further perpetuate this problem. Like I said, I have no problem with someone creating demand for a product (whether it be entertainment or a helpful service), and then profiting from that demand. My problem is with that demand! We crave entertainment so much, that it pushes people to make unwise financial decisions that they pay for many years after! Now, I’m not against entertainment, or the need to relax once in a while; but that’s become our goal in life. We (in a general sense) have become allergic to hard work! Maybe that’s why we are so enamored with entertainers and reality show “stars” – we see them making tons of money but seemingly not working hard for it! An absence of hard work? In the past, the American dream has been achieved by hard work and ingenuity, and if someone wasn’t willing to work hard, they were (usually) satisfied with “just getting by”. But now we want both! We desire a life filled with fun, entertainment and ease, and we envision a life of wealth and luxury, where we can obtain anything that we want no matter the cost! Between frivolous entertainment, and massive consumerism in general, we have become extremely short-sighted in regards to our finances. If we want something and can’t afford it, we won’t work harder, we’ll just borrow from someone else. Then we get upset when we don’t pay them back and they want to take our stuff (or they call us after 7pm), and we ask the government to step in and give us a bailout, or at least make the creditor play nice. We are now at a point where the price of most things is quoted in terms of monthly payments, instead of the true price! We are so comfortable with borrowing and living above our means that we can’t envision our lives without debt. On top of all of that, once these mistakes are made, we are not wise enough to learn from them and make intelligent decisions! Think about the sad fact that a cable bill is the last thing that people will neglect when their life is falling apart. They will let their car, house, debt, and even insurance payments lapse before cutting off cable! How insane is that?!?! I have known people to have a huge cellphone bill due to having a smart-phone and data plan (usually unnecessary), and a huge cable bill, but are behind on rent/mortgage payments, ducking phone calls from creditors, and hiding their car from the repo man! It’s one thing to fall into this trap and make these bad decisions, but it’s something totally different to keep repeating them! Why do you think there is such a focus on entertainment? Do you think that a good number of Americans hate hard work? Do you mind that entertainers and people who play games make more in a week than a teacher will make in 10 years? Why is it that when people ruin their finances chasing after luxuries (or even from not being prepared for life), they continue to make the same mistakes?